Once the shape of the foot is known, then comes the measurements. Take the first measurement around the ball of the foot; the padded area just below the toes. 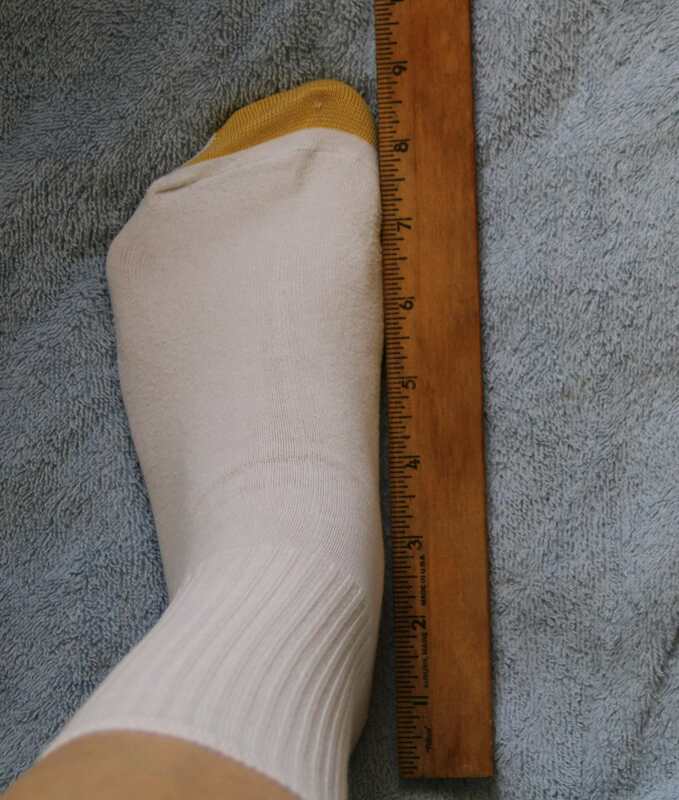 This figure is the circumference of the sock. For average feet and legs this measurement ensures a proper fit around both foot and leg. 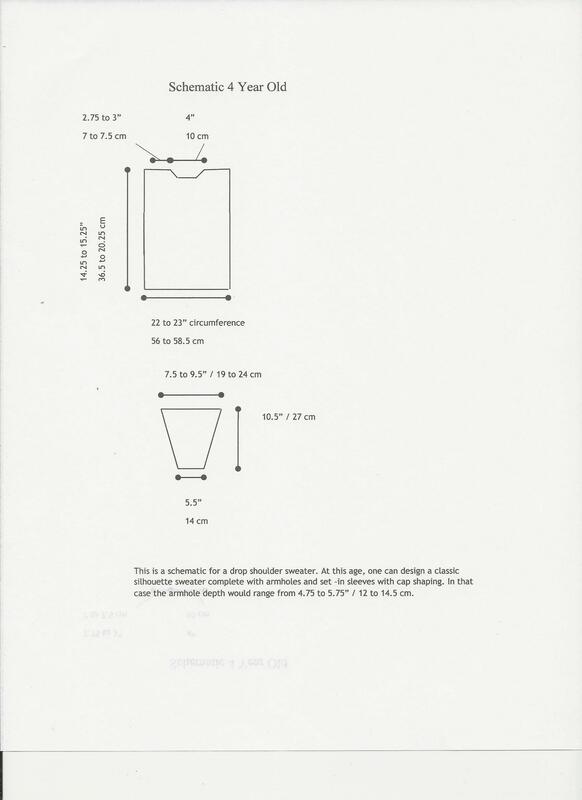 Jot the number down and subtract 1″ (2) cm from it. 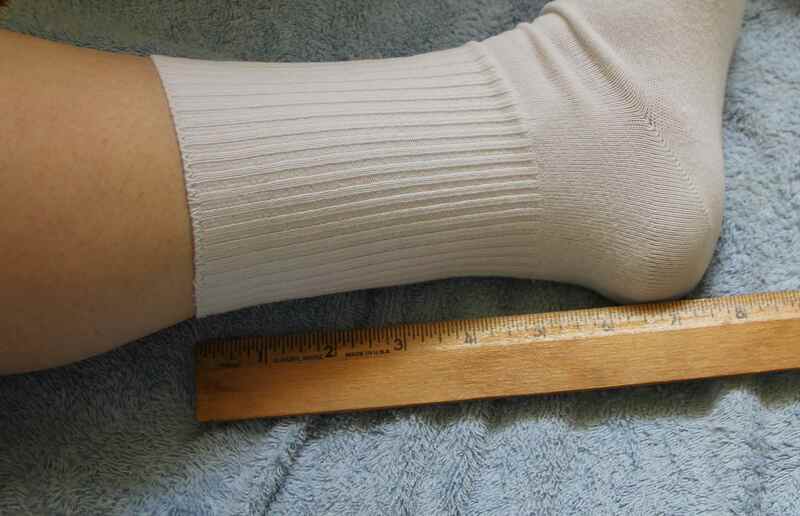 You want the sock to measure 1″ or (2) cm less than your full measurement. This smaller size helps the socks gently hug the feet and stay up on the legs and not bag around the ankles. My circumference number is 8″ (20) cm. 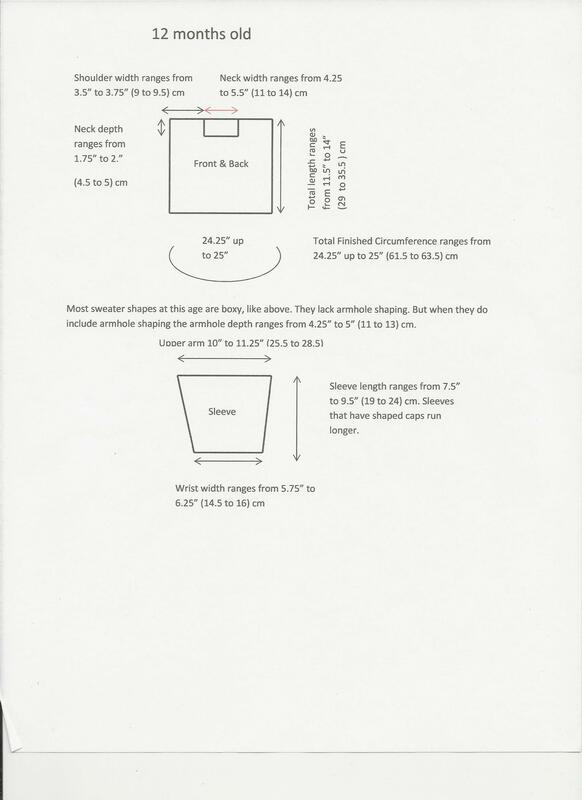 Subtracting the 1″ (2) cm from the 8″ (20) cm gives me 7″ (18) cm. My adjusted circumference number is 7. 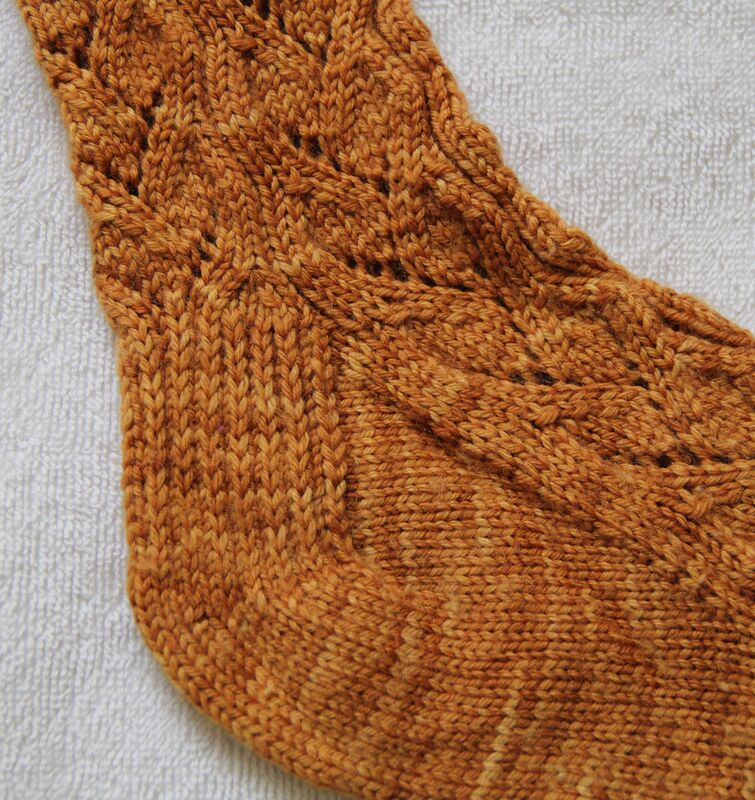 Socks knitted in stockinette stitch have about 4″ (10) cm of stretch in the fabric. This is how my socks go over the 11″ (28) cm that make up my heel-ankle-instep-ankle-heel area. 11-7= 4″ (18-28= 10) cm. 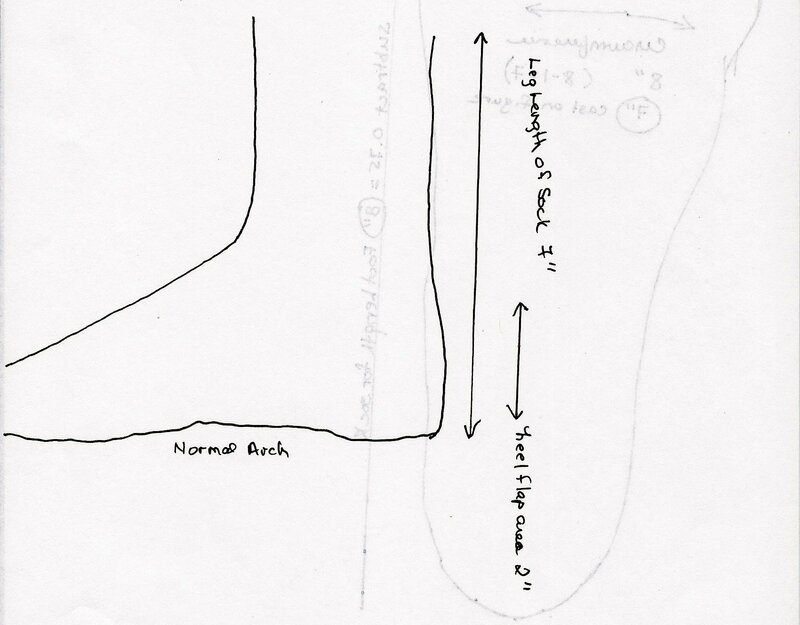 If the heel-ankle-instep-ankle-heel area is greater than 4″ (10) cm from the adjusted circumference number make a note to add 2 or 4 stitches to the sock in the gusset area only and/or look to lengthen the heel flap. 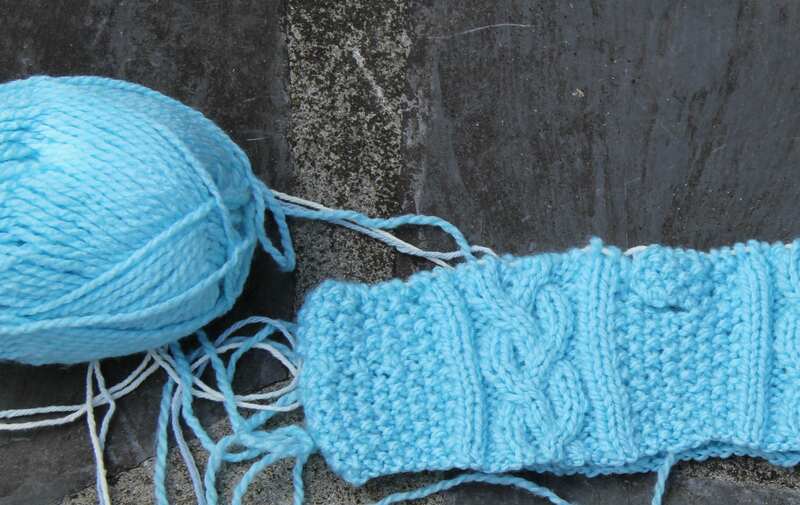 In the picture below, the gusset is the stockinette stitch area that looks like an upside down V.
The next measurement is foot length. 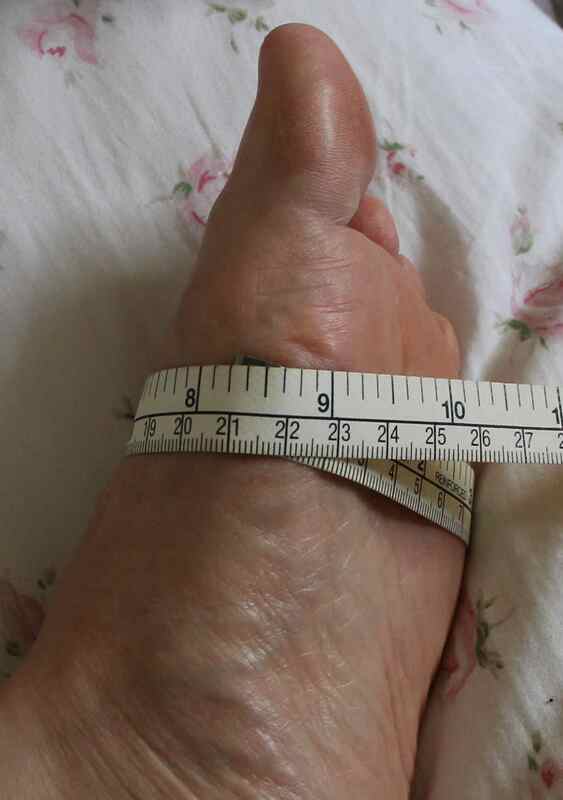 Put a ruler or tape measure on the floor and measure your foot from the longest toe to the back of the heel. 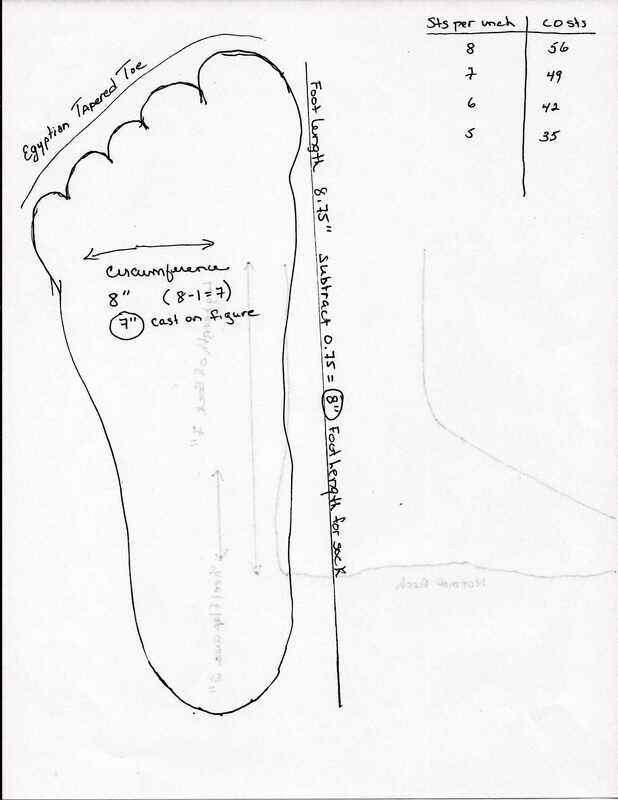 If your foot resembles the Greek tapered foot where the second toe is longer than the big toe, unless it is longer by an 1″ (2.5) cm or more start the measurement from the big toe to the heel. Remember the sock is going to stretch. The last measurement is the leg length. Put on a sock that has the leg height you want. 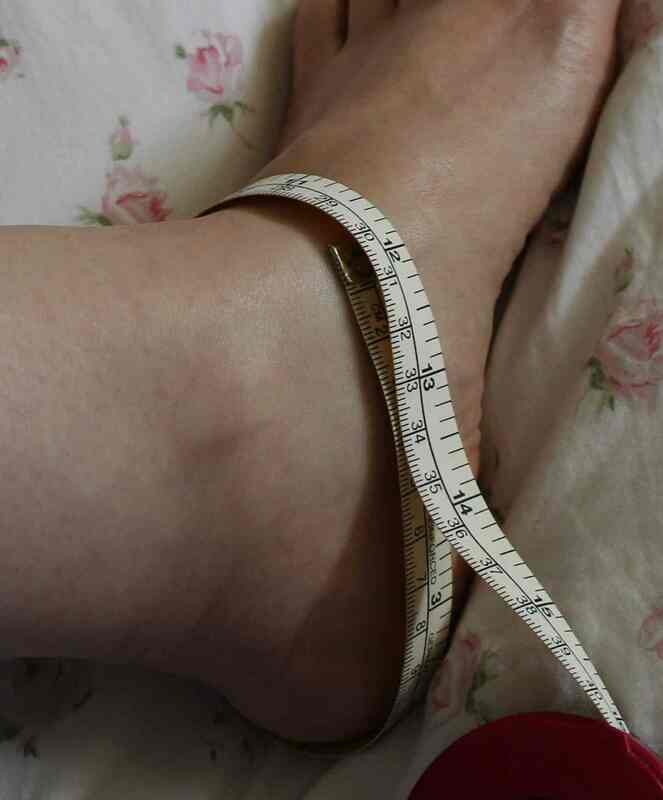 Measure from the base of the heel up the leg to where the cuff stops. This is your sock’s leg length. 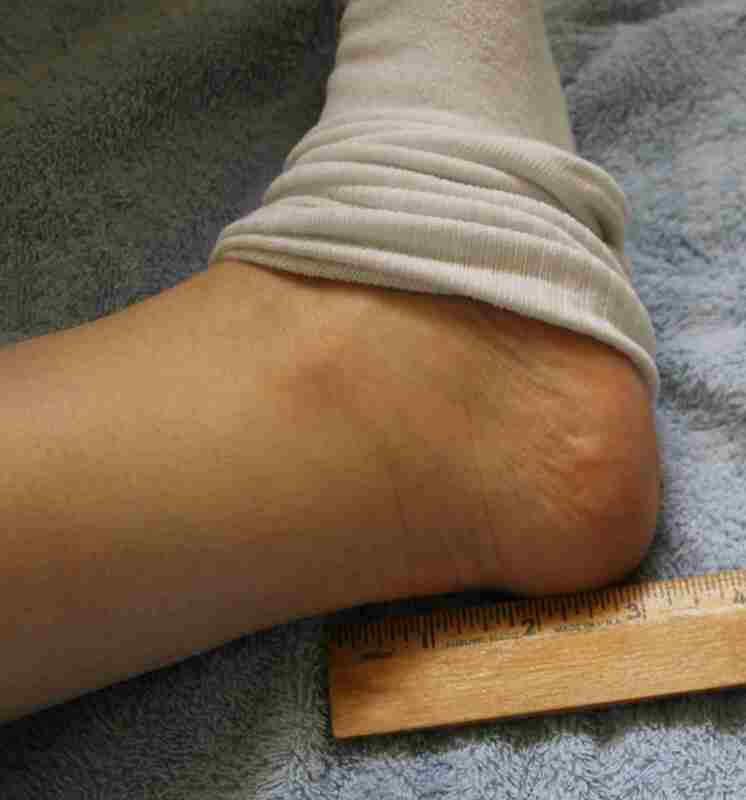 While you’re at it, measure your Achilles tendon area. This is where the heel flap on a sock goes. It should measure about 2 or 2.5″ (5 or 6.5) cm. If it is much longer than this (an inch (2) cm more) make a note that the heel flap needs to be longer. Finally, I put all the information on a drawing of my foot and put it in a folder in a file cabinet. Everyone who has ever had me make a sock for them has a folder with the drawing of his or her foot notated with sizes and alterations made. This makes it easier to knit socks that fit them again. Now that the measurements are complete, next up is sock math. 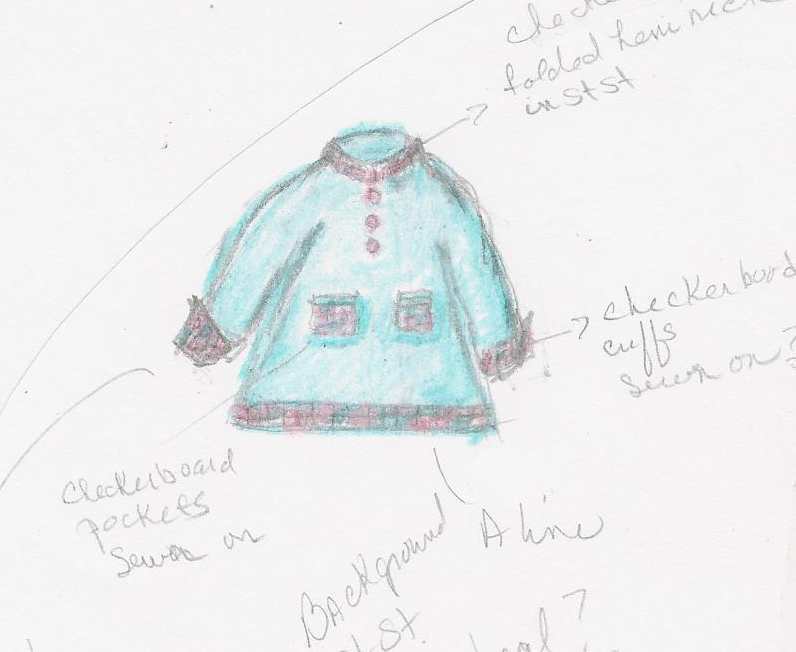 For some knitters, the number of stitches picked up along the edge of a knitted garment is a mystery number. How do designers come up with this number? Really, it is simple. 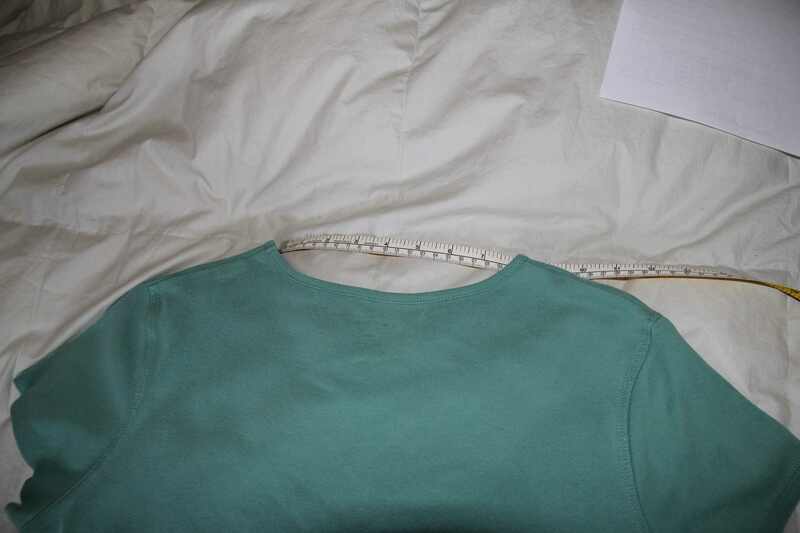 1) If it is a bound off edge every stitch is picked up. 2) If it is a selvedge edge pick up 3 out of every 4 stitches. Neck edges are usually bound off edges. 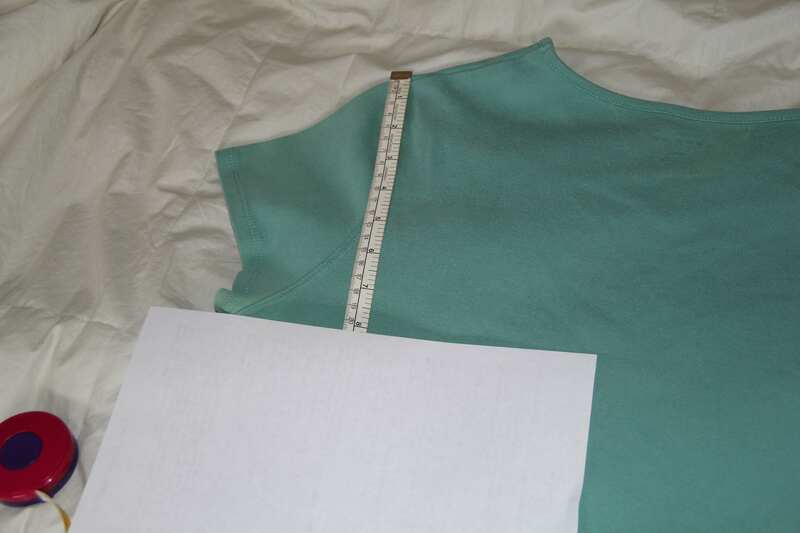 The total number of stitches bound off to form the back and front of the neck is the total number to pick up. If each front edge has 20 bound off stitches, pick up 20 stitches on each edge. Same for the number of stitches in the back. Selvedge edges usually become button bands of some sort. The rule here is to pick up about 3 out of every 4 stitches. Three out of every 4 prevents the bands from becoming wavy. The same number of stitches picked up on one side must be picked up on the other side. Do a test count before picking up band stitches just to make sure the number on one side can be duplicated on the other. 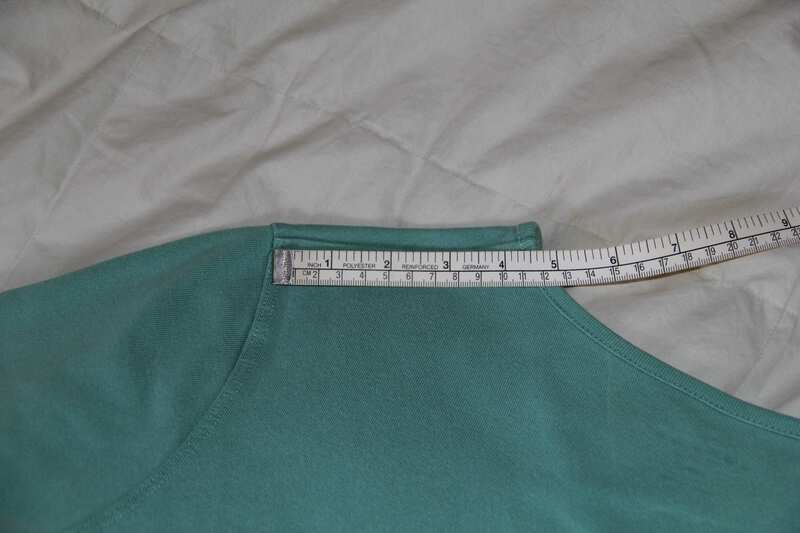 Another thing to watch out for when picking up band stitches is the effect the amount of stitches picked up has on the overall length of the garment. Is it shortening the length by drawing it up? If so, adjust the 3 out of every 4 rule by picking up 4 out of 5 or 4 out of 4 every so often. The more stitches picked up the greater the chance the band will become wavy and not lie flat. This can be countered by picking up less stitches. Picking up the right amount of stitches isn’t really as hard as it seems. Knitted garments can be quite forgiving. As with anything in life, practice helps.